Peterhouse Girls’ School and Spring Vale House is a facility located in Marondera in Zimbabwe. The loan from the Bank was utilized to finance the school’s expansion enabling it to raise enrolment capacity in the girls’ school by 60 students. The new facilities include classrooms, a multipurpose school hall, as well as sports facilities. 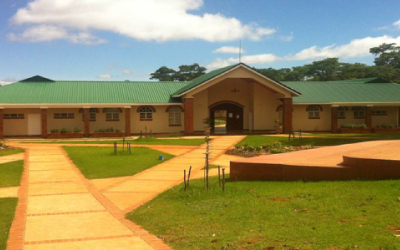 The project also involves the construction of two dormitories accommodating 80 girls each, four tennis courts, three classrooms, water polo pool, four hockey fields, squash courts , indoor sports centre , a ring road to service the sports fields, a new Head’s house, refurbishment of the kitchen and dining hall, a new office block and extension to the library and computer labs. Peterhouse Girls’ School offers direct employment in Marondera, while supplementing the government’s efforts to provide quality education to its students.